Water – Bottled or Tap? Before I try to provide information to answer the question about bottle water safety – Where does Water Come From? We all know that we need water and oxygen to stay alive. Your body is 70 percent water. Your body needs hydration to keep everything lubricated and flowing. Just as your car and any motor engine needs oil, the human body needs water. Human blood is more than 80 percent water. Water helps deliver nutrition and minerals to the body and flush out acids, toxins and wastes from the body. We drink water to prevent dehydration but what we also need from water is its minerals. Water is cleansing, healing and keeps us in touch with nature. Groundwater as it passes slowly through rocks and sediment of the Earth’s crust, accumulates various dissolved minerals. Groundwater mineral content increases the deeper it is in the Earth. Older waters can be highly mineralized. The most common minerals in water include calcium, copper, iron, magnesium, manganese, potassium, salts, sodium, sulfur compounds, zinc and countless others depending on where water has been. Health Spas, natural underground springs, and minerals waters have been known by our ancestors and by folklore. It is often referred to as “taking the cure” or “taking the waters”. People would flocked to these cities baths, spas and wells with the intention of being healed by bathing and/or consuming the magical waters. In order feel complete, to be happy, healthy, and well we need to feel close to nature. We need to be one with nature. What we eat and drink needs to be as close to nature without actually eating dirt. This is the image bottle water is hoping to capitalize on. What could be healthier than spring water that comes from deep in the earth bubbling to the surface rich in minerals and Mother Nature’s healing powers? Water has no form and it needs to be contained. In other words in order to use, store and transport water we have to put it into something like a aqueduct, bottle, bucket, clay pot, tank, or tub. As mankind has evolved so has his inventions on how to contain and transport water. According to the Food and Drug Administration, bottle water is the second most popular beverage in the United States. 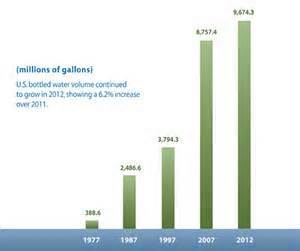 Americans consume over nine million gallons of it in 2012. That is about 26 gallons per person. A typical cost of bottled water per gallon is around $3.79 that is about what I paid for a gallon of gas. The typical cost of tap water is $0.002 a gallon according to NaturalNews. That is a 1900% markup over tap water. But why is bottled water so much more expensive when it can be contaminated without any warning like what you get from your local water company. 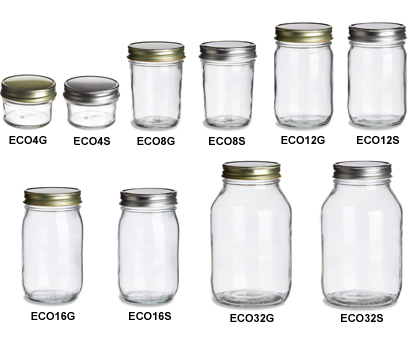 Bottlers are not required to label the contents nor the source for their products. For all we know bottled water could just be tap water you will never know. The label just says “Spring Water”, “Bottled at the Source”. More and more people are questioning bottled water. Questioning not only what is or is not in the water but the packaging it comes in. Concern for the environment impact had San Francisco ban plastic bottles from being used in government locations. Bottled Water the Glass or Plastic Battle? While most people are battling over how bottled water is packaged in glass or plastic my research gives me another concern. I have now concluded; municipal tap water is safe except for certain additives such as chlorine and fluoride. I wrote the article Is Your Water Facet Loaded and recommended you filter your tap water. Tap water needs to be filtered to be safe at least to remove the added chloride and fluoride. Also note the Brita Water Filters only filter out the taste not the actual chloride. I have now picked up my research where I left off and began to examine bottled water and its packaging. According to several sources and Natural News; all bottled waters are purified before being sold. Purification is a process in which contaminants and/or minerals have been removed. Synthetic (lab created) minerals and artificial flavors are then added back in. The label does not say but 90% of bottled water uses reverse osmosis or de-ionization. This will create problems once this water is consumed. First is it makes the water acid which over time will throw your gut flora out of balance, weaken you immune system, and cause inflammation. Second Mother Nature knows the difference and senses the missing minerals and the added supplements as foreign. “Mother Nature abhors a vacuum” and once consumed the “hungry” water or free radical water will leech back the minerals it finds in your body to regain its balance. So purified or bottled water that has been stripped of its natural minerals from the earth will then stipe out minerals from your body as a replacement. Minerals you need. The reason you are drinking the water in the first place is to replenish minerals. Third – Mother Nature sensing will send out black fungus to kill off the alien substance. Once consumed this water will eventually create Candida Yeast Overgrowth conditions. 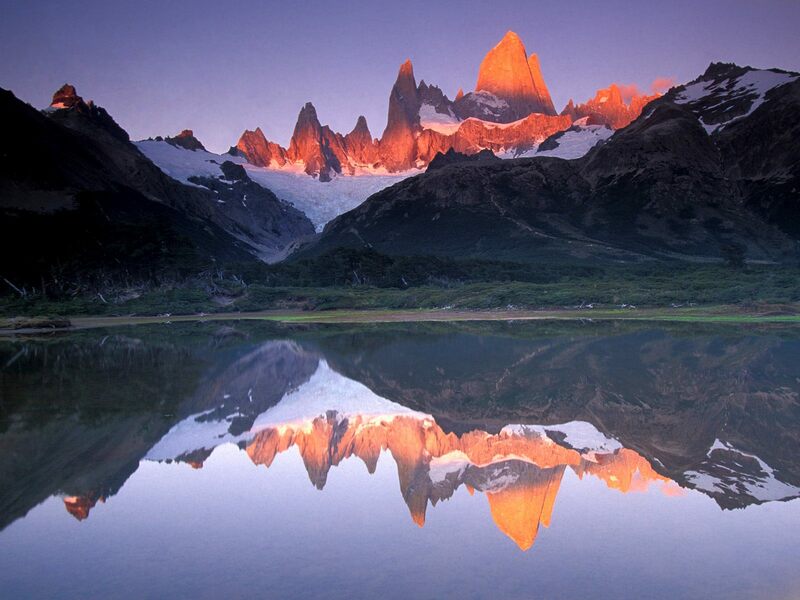 The lab cannot create what Mother Nature has taken years to create in its rocks and sediment in the Earth’s crust. I don’t even recommend or take synthetic Vitamins. So what exactly is in that bottle water be it in plastic or glass? Distilled water by definition is purified, but it is not good for human consumption. The Bottling industry including the bottling of alcohol are regulated by the Food and Drug Administration and municipal city water is regulated by the Environmental Protection Agency. The FDA was created in 1906. It has been around for years and years the EPA did not come into existence until December of 1970 during the Environmental movement which had been fueled by Rachel Carson’s book Silent Spring. Needless to say the EPA rules cover water are very strict. The FDA require bottlers to test for contaminants but the agency thinks it is the manufacturer’s responsibility to ensure that the product complies with laws and regulations. Listing of ingredients is voluntary and when ingredients are listed, it may be anything from a deceptive partial list to vague statements concerning its source waters. The bottlers are not required to labeling the contents or tell of the waters source. In 2007, PepsiCo, which owns the Aquafina “purified” water brand, announced it would begin printing the words “Public Water Source” on its labels. The move came in response to several nationwide campaigns at that time to combat deceptive bottled water labeling. Some bottled water does come from the mountains and crystal clear spring water. But how do you know? Since the manufacture isn’t required to label the source it could be from a municipal supply or tap water. The water is purified, treated and sold to us with one big markup in the price. You may be surprised to learn that you are really just drinking very expensive tap water. The EPA considers municipal water to be of high environmental importance and governs municipal water companies with miles of regulations. The EPA requires quarterly reports and inspections. Many regard the EPA regulations to be overkill and I’m not one to support regulations but – There doesn’t seem to be any truth in advertising or any motivation other than financial. So to you the only difference between bottled water and tap water is you can control tap water by using a filter system. You cannot control what you cannot see and bottle water labels won’t tell you either. Bottled water has been around for a long time. It was originally sold as a curative drink from expensive and exclusive health spas. Bottle water was a drink that only the wealthy could afford. Mineral water also has a long history. Native Americans utilized thermal mineral springs for its curative healing powers. Health Spas form around mineral springs and water from the springs were bottled but sold to only a few. Mineral water from San Pellegrino in Italy has been produced since 1395. It was France who first began to capitalize on bottle water. Evian was the first thermal spring used to bottle water. It became a curative thermal bath and first open to the public in 1821. Two years later Evian water was sold in earthenware. It wasn’t until 1920 that Evian was sold in bottles. A local French doctor began The Perrier Company in 1898. He located the company at the spring at Vergeze in southern France. He operated a spa later a man named Harmsworth closed the unprofitable spa renamed the spring Source Perrier and started bottling the mineral water. He used distinctive green bottles that were in the shape of Indian Clubs which he used to exercise. The spring is naturally carbonated but during the bottling process the carbonation has to be separated and then added back into the water. 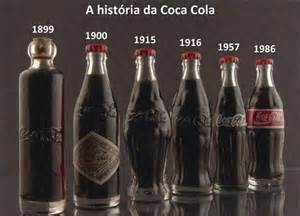 During the 1960s the bottled soft drink began to change it’s marketing from The Soda Fountain or ice cream pallor where Coco Cola syrup was used to make a drink called a soda. Coco Cola began to sell its carbonated soda directly to the public itself. 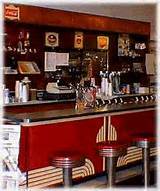 This was during the decline of the mom and pop lunch counter and the growth of the fast food industry. It was the Perrier Company that began the move to bottled water health craze when it launched its $5 million dollar campaign in the United States to market its imported bottle water in 1977. Even though the EPA and its rigid controls over municipal water had been in existence since 1970, concern for the environment help fuel this craze. The EPA’s regulations have taken time to develop and still many people are unaware of how much power the EPA really has. Perrier’s marketing was addressed at the growing concerns about pollution and poor-quality tap water. It caught the yuppies consumer dollar that wanted a lifestyle statement and bottle water fit the image. After the marketing success of Perrier a new market was created and the industry grew to being a major profitable source we see today. The drive for “healthy spring water” from mountain spring water or well water or spa mineral water “fresh water” lack of confidence in municipal water? Perrier’s famous green bottle became extremely popular throughout Europe and it was the first sparkling mineral water to be bottled in the U.S. By 1970, Perrier had become an intrinsic part of American healthy lifestyle. The General Public Opinion is Bottled Water is Safe. Most people when asked what is safer Tap or Bottled water? At least 90% will respond with the answer “Tap”. The general public is blind on this issue and there isn’t a lot of motivation from either the white coat industry, the bottling industry, or the US Government to change that opinion. When someone starts feeling ill with stomach upset and acid indigestion no one would even suggest try to stop drinking bottled water for a week and see if you feel better. You soon learn to just reach for the antacid pill and never even think about it until you really get sick. What is surprising is most bottling companies do not have large advertising budgets people just flock to the store and carry the stuff home. 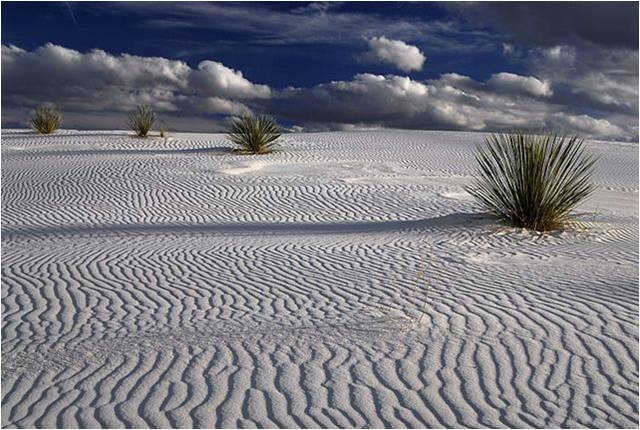 In a Desert untouched by man you would have to dig deep to find water like these plants. The picture illustrates how you feel and look when you are dehydrated. You tongue is full of bumps you skin feels like rough and your bones and joints are stiff. We drink water and are told to drink more water to prevent dehydration. There are many signs of dehydration; altered mental status, dry mouth, dry skin, and thirst but thirst isn’t a good indicator of dehydration the best indicator for the body’s need for water, especially in infants, children and older adults is the color of the urine: Clear light-colored urine normally light yellow. 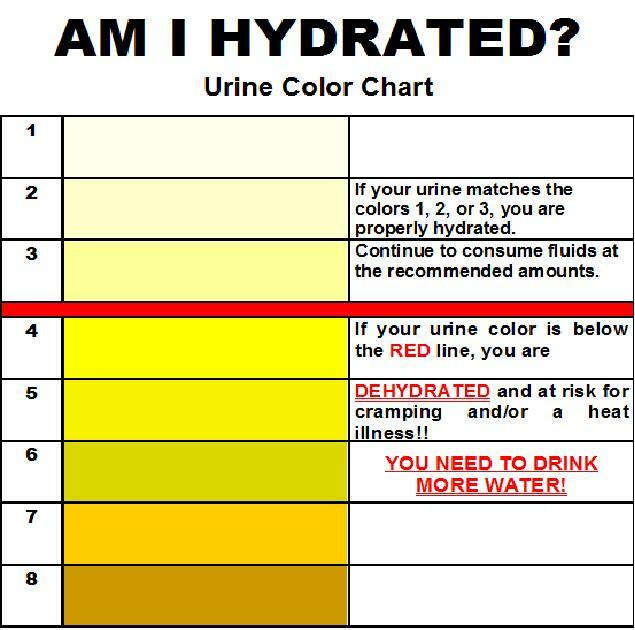 Light colored urine means your well hydrated, but the darker the urine the less hydrated and more dehydrated you are. Dark yellow or amber is a sign of dehydration. When you are dehydrated every cell in your body cries out for water like the guy lost in the dessert, dying for a drink. The amount of urine is also important it should be at least 30 cc an hour. No urine output over several hours or if the color of the urine is dark this is a serious indication of major dehydration. Tap Water – Water provided by your local municipality. Your local city water may have fluoride added and it definitely has chlorine added. Chlorine is used to purify or kill all the bacteria in the water both good and bad bacteria. In the United States, tap water is held to very strict purity standards by the Environmental Protection Agency (EPA). The source for most tape water is from a public source not well water. The source may be a local lake or reservoir. It is hard to control a whole lake from obtaining contaminates. Your local water utility must constantly test and provide quarterly reports on its water its additives, contaminates, and many other very dry statistics. Your tap water is also graded. For more information, call your local water company or call the EPA’s toll-free Safe Drinking Water Hotline at 800-426-4791, or visit the website for the Campaign for Safe and Affordable Drinking Water. Chlorine is some poisonous side effects. You should find a water filter system for your water system see my article Is Your Water Facet Loaded with Drugs? Natural Foods –Natural food not processed food can provide up to 20 percent of you liquid needs. This does depend on the type of food you eat but some foods like Fresh fruit, apples, apricots, berries, grapes, melons, peaches, pears, pomegranates and plums. Fresh vegetables like; Asparagus, bell peppers, broccoli, cabbage, celery, cilantro, cucumbers, leafy greens, seaweed, snow peas and summer squash. So What Water Do You Drink? The best bet is to either find your own natural spring or to filter your tap water. For the best results add your own minerals. Add apple cider vinegar, or fresh lemon or add minerals like a ¼ teaspoon of sea salt or Himalayan sea salt that has 84 other minerals or ¼ teaspoon of stevia leaf sweetener. You can also sip all day on your own mineral water of herbal tea such as chicory, dandelion, hibiscus and mint and any other herb you can find to name a few. Then drink the water at cool or room temperature. From my research I have found that the picture above represents skin but it can also represent the cell. Water needs to be in the cell to be hydrated. Drinking tepid water (slightly cooled, at room temperature or slightly warmed) opens the cell walls to let the water in. Cold or iced water may cool the body but it causes the cells to contract and force the water out. Maybe it is best to use the ice as an ice bag on the outside of the body and the filtered tap water on the inside. De-ionized or Reversed Osmosis (RO) – and Distilled water have been stripped of their essential minerals. The label may say “filtered”. This type of water has an acid balance in the pH Scale. This type of water cannot be stored for long for it has a tendency to attract black fungus. If you drink RO water you may develop Candida Yeast overgrowth. For an example; if you use reverse osmosis water to sprout seeds 7 out of 10 times you will have fungus issues. I call this water angry water for Mother Nature knows the difference and the water is missing its minerals and contains unknown substances. The water is hungry for its missing minerals and the added minerals are unknown or foreign. Mother Nature fights unknown substance with black fungus. Distilled or Purified Water – has been boiled and then the steam is condensed into a clean container. Minerals are too heavy to be carried in the vapor so the resulting water foreign constitutes (which are mostly minerals) have been removed. Distilled water is considered pure water where deionized water is cheaper and an alternative but is not considered pure particles still remain. Steam irons once required distilled water to prevent residue from plugging up the iron but manufactures have improved the iron and any water can be used. Distilled water can be drunk but it is devoid of minerals and can encourage over a period of time the buildup of fungus or yeast. Purified water will also over a period of time leach out of a plastic bottle. Distilled water is considered not good for human consumption. Fitness Water – The bottle of Propel Fitness Water®, created by the makers of Gatorade®, says its product hydrates and nourishes your body with essential vitamins and fruit flavors. It contains the synthetic vitamins B3, C, and E. It contains “natural lemon flavor” also created in a lab which is not the lemon but the taste of lemon. But the best part is it is loaded with corn syrup, it contains MSG and sucralose (also found in Splenda). This in anything put natural, pure water it is chemical water. Your body needs WATER to rehydrate it not chemical water. Flavored Water – is one of the newest and most popular types of bottled water to hit the market. The added flavors are citrus or berry with added nutrients. These Artificial flavors are created they are not taken from the fruit they only taste like it. Artificial flavors are often made of substances called esters. These esters create and replicate the taste so the chemoreceptors or taste buds taste the fruit flavor. Citric Lemon or the berry flavor doesn’t come from any real fruit it is a synthetic chemical that makes your taste buds think it does. Mineral water – Traditionally, mineral waters were consumed at the source of the spring. People would travel to the site. Now many of these sites have exclusive commercial ownership rights and do not allow public assess. Mineral water is now bottled at the source and distributed. There are more than 3,000 brands of mineral water. In the United States the bottle does not have to be labeled you therefore have no idea if this is really mineral water or just carbonated re-mineralized water? So What about Plastic Bottles? Is it ok to drink water in plastic bottles? According to WHFoods, and the Mercola Website they do not recommend water packaged in plastic – even the hard polycarbonate 5-gallon plastic jugs. The reason for their recommendation is migration of plastic compounds, including BPA. Even at room temperature, a very small amount of the plastic in the container will migrate into the water. We need water from nature and nature doesn’t like plastic. Plastic bottles that have been allowed to sit in the sun like in an enclosed car in direct sunlight will cause some of the plastic to leach into the enclosed water. With the amount of water that is recommended to take daily the health risk of plastic should be a concern. Many municipalities are now recycling but the toll of piles of left over plastic bottles is tragic. I could state facts and figures but we all know piles of plastic is not good for the environment, yet glass is easily broken down and recycled naturally. I use a glass mason jars for just about everything including water. I fill a jar with filtered tap water along with a ¼ teaspoon of either Stevia or Sea Salt. I also drink herbal tea. I even have a glass straw. I don’t use ice. Your body cells accept more water at room temperature. To be hydrated the water needs to be in the cell not outside of it. McKay Jenkins discusses tap water versus bottled water. Tap water is more regulated than bottled water. So which is safer? It is hard to tell, but Mr. Jenkins talks about the two and why it might not be the water itself that you should be concerned about. What’s really in Vitamin Water? It turns out the beverage is more “sugar water” than vitamin water. Even Coca-Cola’s own attorneys publicly admit Vitamin Water is not a healthy beverage. Can you give us a hand and remove the links at your soonest convenience? We would really appreciate the help. I’m sorry but I can not find a link to your site in this article. I’m sorry for any difficulty my provided a link has caused. I normally try to credit people whom I have learned information from. Please show me which sentence or pic has the link I can not find it. « You Brush Your Hair and Teeth, What Not Your Skin?